Most of us have heard of (or even use) the terms free radical, oxidation and antioxidant when we talk about health or ageing. If you're a bit hazy on what they all mean, I hope this post will help clear up some of your confusion. It is any atom or molecule that has a single unpaired electron in the outer shell and hence is not stable. For the free radicals to become stable, it has to "steal" an electron from our body cells to stabilize itself, resulting in the death of our cells. Oxidation is the process of robbing electrons from our cells by the free radicals. If there are many free radicals, our cells become more fragile and weaker when the free radicals attack the DNA and change the structure of our cells. So the more free radicals there are, the more easily a person will fall sick, age and die. 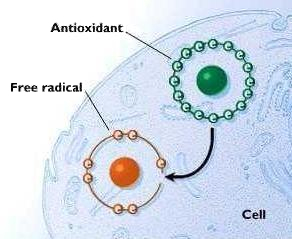 Antioxidant is the substance that may protect our cells against free radicals. It can prevent or slow the oxidative damage to our body. Antioxidants act as "free radical scavengers" and hence prevent and repair the damage done by these free radicals. Free radicals are molecules produced when our body breaks down food or from environmental exposures like tobacco smoke and radiation. Free radicals are also produced with each breathe we take. Each of our cell has a "generator" to produce energy, called Mitochondria. When we breath, the mitochondria takes in oxygen and releases a waste material called free radical. There are 2 types, namely, Superoxide Radical and Hydroxyl Radical. What sort of Harm will Free Radicals Cause? If the quantum is too high, it will damage our cells, make them vulnerable and die easily. This happens to people with stroke, cancer or arteriosclerosis (hardening of arteries). Free radicals will also cause us to age faster; makes us grow old more quickly. Further, it will make our body organs deteriorate faster. How does our Body Eliminate Free Radicals? b) How good is his multi-enzymatic system. If it is working well, he will feel energetic and healthy. For instance, a person suffering from an inherited disorder called G6PD deficiency has red blood cells (RBCs) that cannot transport oxygen effectively throughout the body. Their RBCs are destroyed faster than their body can replace them. Vitamins C and E eg. from fresh fruits, vegetables and whole grains. Alpha lipoic acid, generally made by our body but also found in red meat. Lycopene eg. from tomatoes, grapefruits, watermelons. How does Lingzhi Work to Eliminate Free Radicals? a) Indirect method. 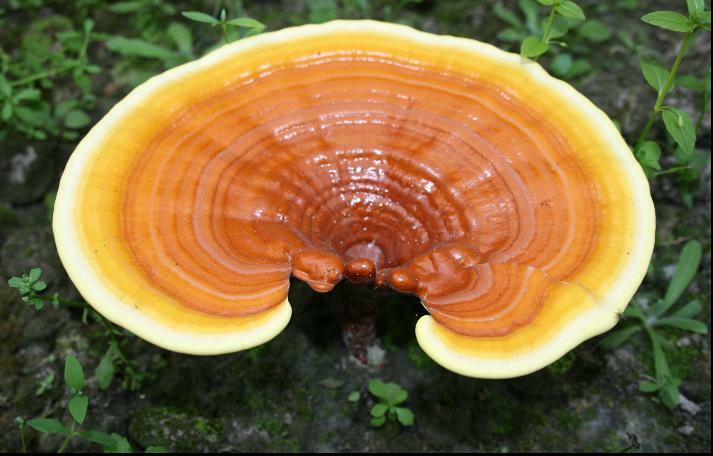 A continuous consumption of 12 capsules of lingzhi (Yung Kien Ganoderma) per day for 6 months is proven to increase the level of the enzymes mentioned above in our bloodstream. When our body's anti-oxidant ability is increased, it can eliminate the free radicals more effectively. b) Brain. 80% of our body's oxygen intake is used to supply our brain cells. Our brain suffers the biggest damage as it's the most exposed to free radicals. As we grow older and our brain cells die, it is not able to regenerate. Hence, people become forgetful and have poorer memory. Most of the enzymes are used in our brain. When we are older, the enzymes reduce, our anti-oxidation ability also reduce, hence the free radicals increase. The good news is, according to a research report by Professor Lin from Beijing University, the findings suggest that lingzhi has the ability to increase the SOD enzyme in our brain so that the oxidation process in our brain is slowed down. c) Triterpenoid. There are more than 200 types of ganoderic acid in the triterpenoid component of a lingzhi. 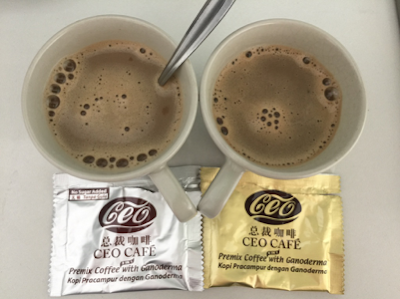 In the world, only Shuang Hor has the technology to extract the most number of ganoderic acid. Even then, it can only extract up to 9 types. It is found that Ganoderic Acid A, B, C and D have the ability to directly eliminate the free radicals. d) Protects macrophage. Macrophage is a component of our blood that eats up cancer cells thus reducing our chance of contracting cancer. However, macrophage is easily oxidized. Lingzhi has the ability to protect our macrophage from being oxidised, and therefore strengthening our immune system. I hope you found my post helpful in your understanding of why antioxidants are so important to our body and how lingzhi works to eliminate the free radicals to keep us youthful, energetic and disease-free. Please email me at laifuiping@gmail.com if you want to buy Lingzhi.